The Boston Celtics are headed to Miami for their final game against the Heat this season but will be short-handed once again. 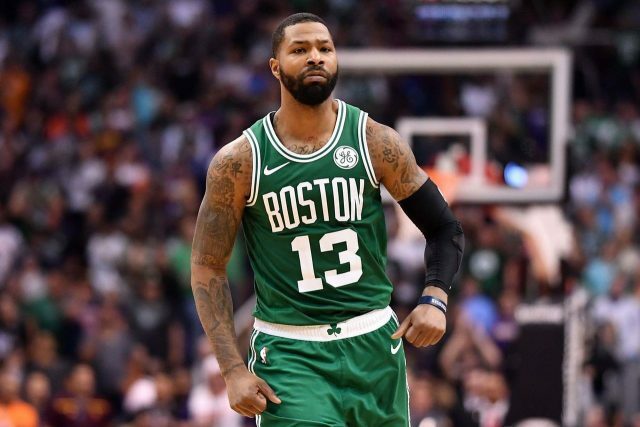 In addition to Jaylen Brown, who missed their last game (also against the Heat) due to back spasms, starting forward Marcus Morris has been included on the injury report. #NEBHInjuryReport update: Jaylen Brown (back) and Marcus Morris (knee) are both OUT, per Brad Stevens. These final four games of the season are surprisingly important, with the Victor Oladipo-less Indiana Pacers sporting an identical record as the Celtics. Those two teams will play once more on Friday, April 5. Tonight’s contest will be the last time the C’s play Dwayne Wade, with the 13-time All-Star rounding out his farewell tour. Tip-off is set for 7:30 p.m. at American Airlines Arena.